« Let’s Fire Up the Grill! Did you know that 12 ounces of sweetened tea has 135 calories in it? Or that 12 ounces of regular soda has 136 calories? There is an alternative to these sugary drinks that can not only help you cut the calories but increase your overall well-being. The Ohio State University Extension has developed a campaign, “Water First for Thirst”, to get people to put down the pop can and enjoy drinking water. This initiative helps to inform people of the benefits of drinking more water. 1. Invest in a stylish water bottle that you can keep with you. Whether you’re at work, in the gym or outside in the garden it’s key that you keep a bottle with you so you can refill it whenever you want. 2. When you can, drink through a straw. People tend to drink more when using a straw. 3. 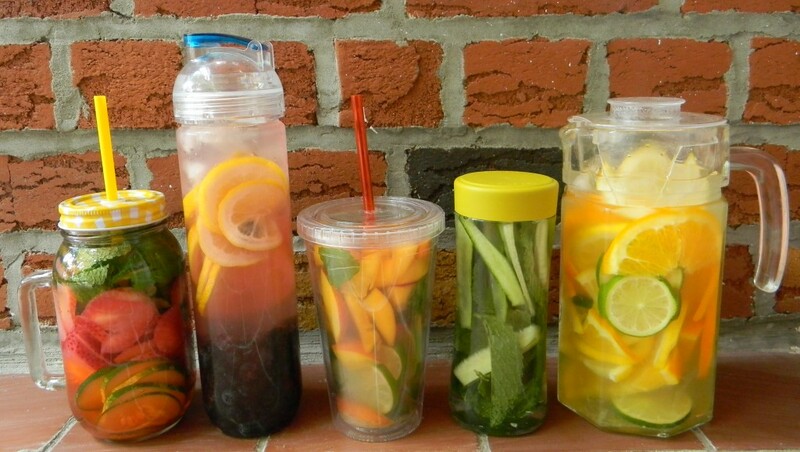 Infuse your water with some of your favorite flavors. Adding lemon, berries or citrus with a dash of mint leaves will change things up. If you’re on the go try some of the pocket enhancers that you can purchase from the store. Even with the flavor, you’re still able to cut the calories. 5. Eating foods that have more of a water base allows you to consume more water without even knowing it. Foods like cucumbers, watermelon, tomatoes and celery are all made up of more than 90% water. These are naturally low in calories as well! After hearing tips like these I encourage you to rethink your drink and raise a glass of water! Question – does it matter what if we drink cold or warm water, as long as it’s water? I find myself drinking glasses or warm or hot water with sliced lemon, I assume water is water? Thanks, Mallorie Wippel for your work on our blog. We appreciate it and hope this summer intern opportunity provides you with a range of experiences.